Many people respond to reminders to follow the fire laws with an attitude of “well, that won’t happen in MY theatre.“ Which is ironic, because that was the assumption of those at the Iroquois Theatre back in 1903, and all the people at these 11 theatres and venues this year. And don’t let that number fool you. While we certainly did better in terms of number of fires this year (at least 11) than last year (at least 33), the Ghost Ship fire earlier this month made this the deadliest year in US performance space fires since 2003. Arson fire destroyed the school’s theatre, as well as several other facilities. May be 2 years before theatre will reopen. An early morning electrical fire in the 16 year-old marquee caused parts of the sign to fall to the sidewalk and street, but the fire was contained to the sign itself. The marquee has been covered with temporary vinyl printed signs while plans for a repair/replacement are finalized. 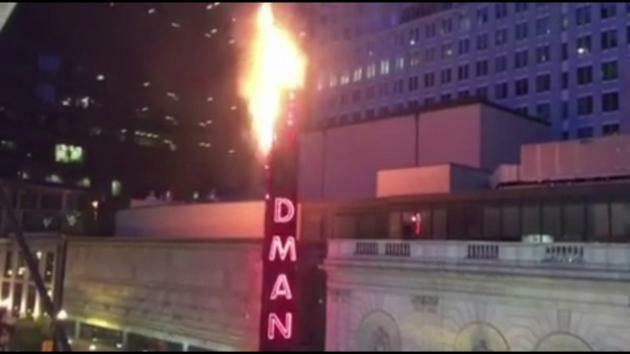 Arson fires in several locations caused serious damage to this shuttered theatre. City condemnation proceedings intended to push owners to make the theatre safe in the months following the fire only complicated matters. Malfunctioning pyro set a “basspod” stage/display on fire. One stagehand was burned attempting to fight the fire. Clark County Fire Department workers stationed on-site extinguished the fire. 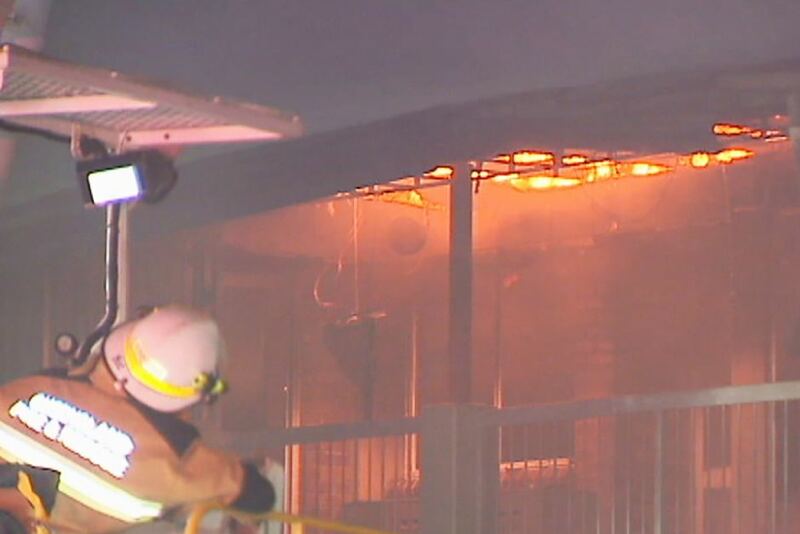 Fire at adjacent sub-station forced theatre to close to repair extensive damage to the theatre’s electrical systems. 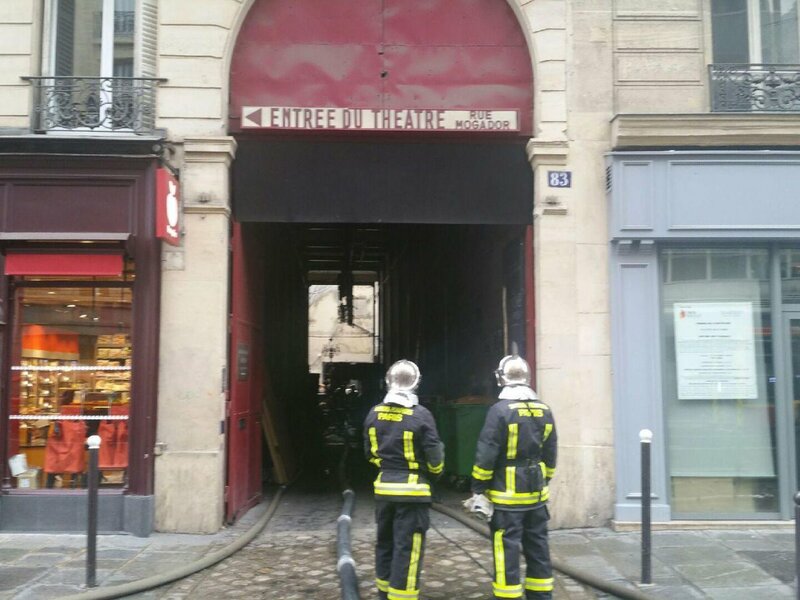 Basement fire was extinguished, but damage from fire and water to the stage and scenery required the theatre be closed until further notice. One firefigher was injured. Electrical fire. Repair costs exceed the insurance. Fire in drainage system, likely caused by discarded cigarette, resulted in smoke in the Theatre & Dance building. 36 people were killed in the worst performance-venue fire in the US since The Station fire in 2003. Complicating matters was the illegal use of the building as a performance venue/artist studios/dwelling. The myriad of extenuating circumstances and excuses that contributed to the high fuel load, lack of exit options, and resulting death toll are far beyond the scope of this summation. Perhaps most frustratingly, following the fire a defensive pushback cry of “but we are artists!” was used to attempt to excuse many of the violations and contributing factors, as well as to shift blame to others. The main stairway was made of stacked wooden shipping pallets. I’m shocked the death toll wasn’t higher. 35 of the 36 killed were visitors to the space. Only 1 was a resident. Please note: this list does not include fires at cinemas, fires at theatres that have been abandoned with no plan in place to restore them, or fires at theatres in India (which happen so often there, along with stage collapses, as to be considered commonplace). You cannot depend on any single person, plan, device, or system to work during a fire. You must always keep all fire exits clear, and all fire safety devices in working order at all times, as you have no way of knowing how, where, or when a fire may start. Accidental fires aren’t the only fires in theatres, and you may need to evacuate due to the actions of your neighbors. By the time most fires reach the point of triggering an automatic alarm, they are well past the point of being able to be extinguished by a handheld extinguisher. Time is your enemy during a fire. Fires grow quickly. A two hour fire protection rating has little in common with real life fire conditions. The rating is based on slowly rising temperatures in lab conditions over two hours. Real fires can reach the highest “rated” temperature in minutes. Your theatre’s fire protection rating may not reflect the type of combustable materials you may tend to have on stage or in storage. A fire that has started is proof that an existing safety device, plan, or system has failed. Don’t assume that everything else will work correctly. In nearly every theatre fire, multiple mistakes are made by personnel, and multiple fire safety, containment, and suppression devices or systems fail to work exactly as intended. 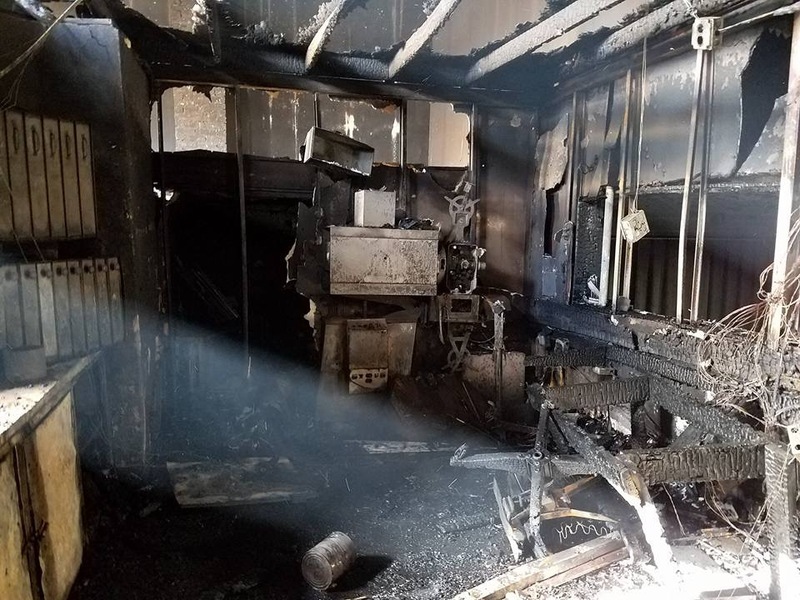 By the time most fire departments arrive and establish water lines to a working fire, damages can already be enough to close your theatre for months. Few theatres have easy access points around their structures (it’s not like they have windows all around the house and stage). Fighting a fire inside a theatre takes time. Simply getting lines into the theatre takes time. Don’t assume your fire department will be able to save your theatre. Fire codes exist for a reason: to prevent tragedies like the Iroquios, The Station, Colectiv, and Ghost Ship from occurring. No show is so important it should endanger your audience and staff.